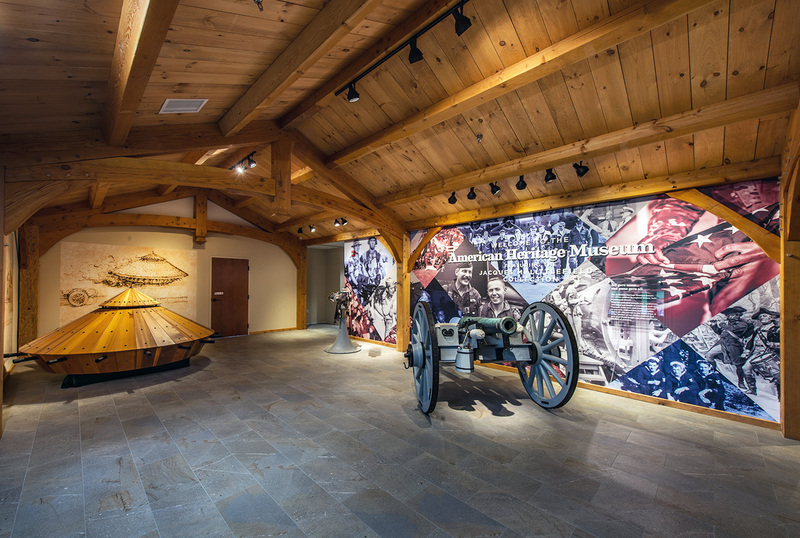 The American Heritage Museum (AHM) is housed in a 70,000+ square foot facility located at the Collings Foundation’s headquarters in Stow, Massachusetts. The concept of the American Heritage Museum began when the Foundation was selected to receive the massive collection of tanks, armored vehicles and military artifacts from the family of Jacques M. Littlefield in 2013. This amazing collection combined with additional rare artifacts and exhibits from the Collings Foundation make up one of the most extraordinary museums of military history in the world. Gulf War exhibit featuring a SCUD missile / launcher, T-55A tank, 2S1 self propelled gun. Receiving this historically important and extensive collection was a tremendous honor for the Collings Foundation. Exhibiting these artifacts in the most meaningful way possible is our duty. We designed the new American Heritage Museum to fully engage people in understanding our turbulent past. In this remarkable place, American history will be explored, studied, and most of all, remembered. Through educational interpretation, and a chronologically arranged series of dioramas and exhibits, the American Heritage Museum will bring the history of our veterans to life. 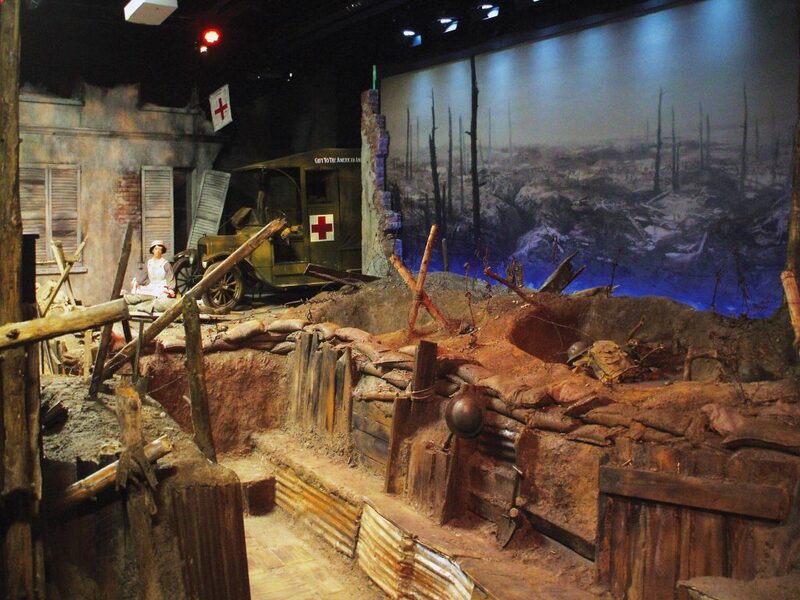 The American Heritage Museum features the immersive WWI Trench Experience. The setting of this exhibit is the bleak, frightening, battle-torn landscape of Saint-Mihiel. The battle of Saint-Mihiel was a major WWI clash fought from September 12th to 15th, 1918. It was the first battle to involve the American Expeditionary Force (AEF) led by General John J. Pershing of the United States. The attack at Saint-Mihiel was part of the plan by Pershing to have the Americans break through the heavily trenched and fortified German lines and capture the city of Metz. It was the first offensive launched primarily by the United States Army. Visitors explore the trench’s harrowing environment as a seven-minute presentation unfolds. AHM features of the rarest historical artifacts in the world. These include an American WWI tank, Kommandogerät 40 (WWII German rangefinder and mechanical analog computer for directing anti-aircraft guns) a Higgins Boat that survived D-day, an LVT-(A)4 that survived the Pacific battles, a Panther tank, a German Sd.Kfz.222 reconnaissance vehicle, an IS-2 tank, an Me 109 fighter, a Scud B missile and launcher, an original section of the Berlin wall and many other unique pieces.